Take 1 capsule per day or as directed by your qualified healthcare professional. PQQ is a substance with a relatively recently discovered unique pro-health properties. It will work well as a supplement decreasing oxidative stress and preventing its harmful consequences. According to the research, the dose of 20 mg is assumed to be safe in constant daily application. The supplement may also be used periodically, depending on the needs. The product is recommended especially to elderly people, who want to stop neurodegenerative processes and general aging processes of the organism. It will also work well as prophylaxis of such diseases as Alzheimer’s and Parkinson’s. To maximize the effect of supporting cognitive functions of the brain, it is worth combining it with 100-300 mg of coenzyme Q10 and L-taurine. Antioxidant properties may be boosted by adding R-lipoic acid to the supplementation. The preparation may also be used as a form of the treatment after stroke or heart attack. In such a case, the best effects are achieved in combination with metoprolol. Top-purity OptiMSM. Helps with osteoarthritis. Magnesium and vitamin B6. It regulates the heart, strengthens bones, improves mood and prevents cramps. Probiotix complex to support a healthy urogenital system. Reduces the risk of urologic diseases in both sexes. It provides a unique, completely vegetarian form of DHA that is derived from a sustainable algae-based source. Pyrroloquinoline quinone (PQQ), otherwise known as methoxanthin, it is substance that was discovered quite recently. Admittedly, PQQ was discovered in 1979. However, it was not until 2003 that its properties were shown to be similar to those of B vitamins (for this reason, it is sometimes called PQQ vitamin). 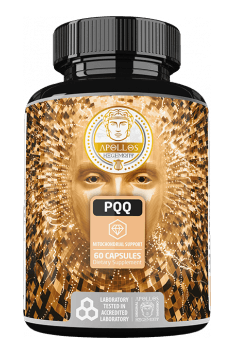 Nonetheless, PQQ is not a vitamin but a vitamin-like substance because it does not meet all the criteria for this group. PQQ functions as a cofactor, thereby regulating enzyme activity. It is a cofactor of many redox reactions with great antioxidant and anti-inflammatory potential. It has been shown to be more effective than the commonly used vitamin C.
Furthermore, PQQ stimulates the biogenesis of mitochondria (increases the body’s efficiency, improves energy production), helps maintain normal protein deglycase DJ-1 levels (protects against oxidative stress), is involved in NGF synthesis (promotes the production of new neurons and regeneration of myelin sheaths). All these properties may make PQQ supplementation a perfect way to improve general quality of life (improved sleep efficiency, increased energy levels, reduced stress and fatigue and a beneficial impact on mood). Dosage: no specific standards of consumption, used so as to provide sufficient amount of electrolytes to the body (sodium and chloride).